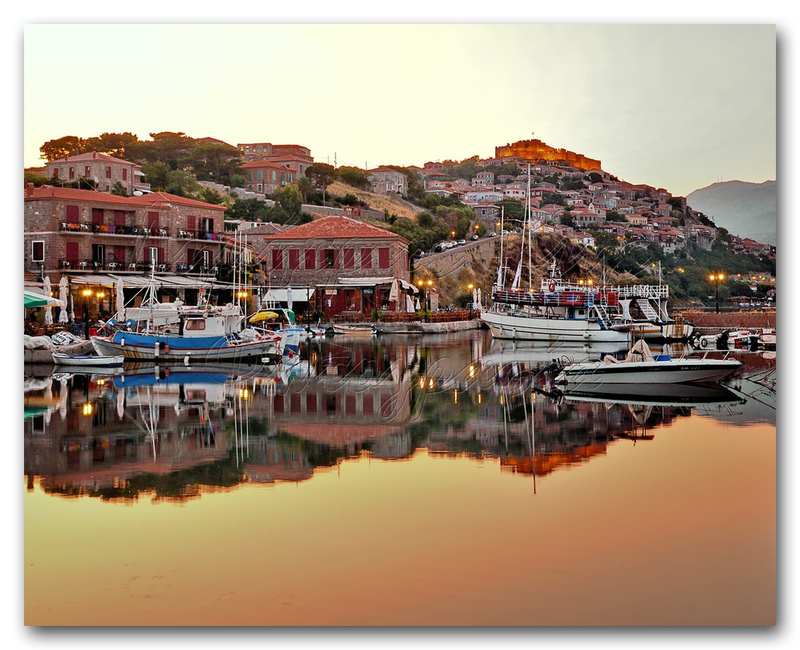 The island of Lesbos, often also referred as ‘Lesvos’ or ‘Mytilini’, is the third-largest island in Greece. Situated in the Northern Aegean Sea, close to the Turkish mainland, is relatively isolated from the other Greek islands and remains almost untouched by tourists. 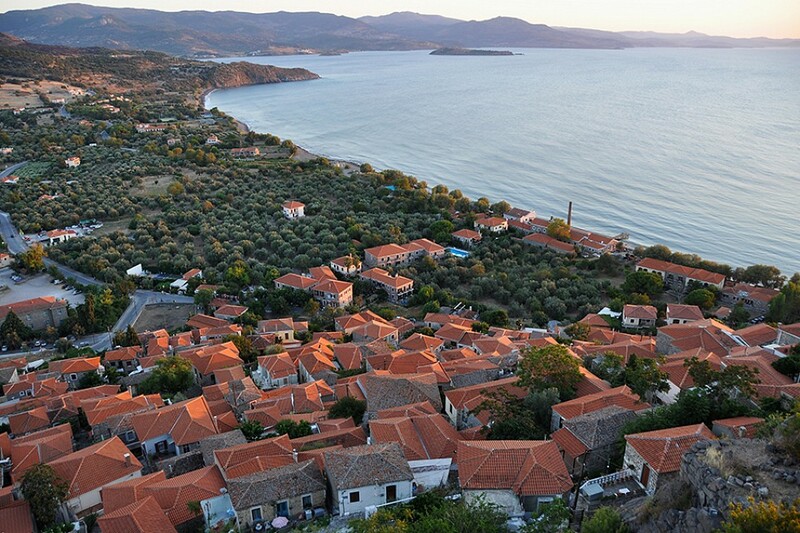 Lesbos is home to over 11 million olive trees. The island is also renowned for producing half of the world's ouzo, Greece's national spirit. The stunning island of Lesbos boast breathtaking mountains, hot springs, unspoilt beaches, and lush greenery. The best sand and pebble beaches can be found on the north and west coasts of the island. As well as its natural attractions, the island is home to charming historic towns like Molyvos, dominated by an ancient castle and architecture. The island’s port and capital, Mytilini, is a lively coastal city built around an old harbor, with a maze of cobbled streets, bustling markets, pleasant cafés, traditional taverns, and interesting museums. 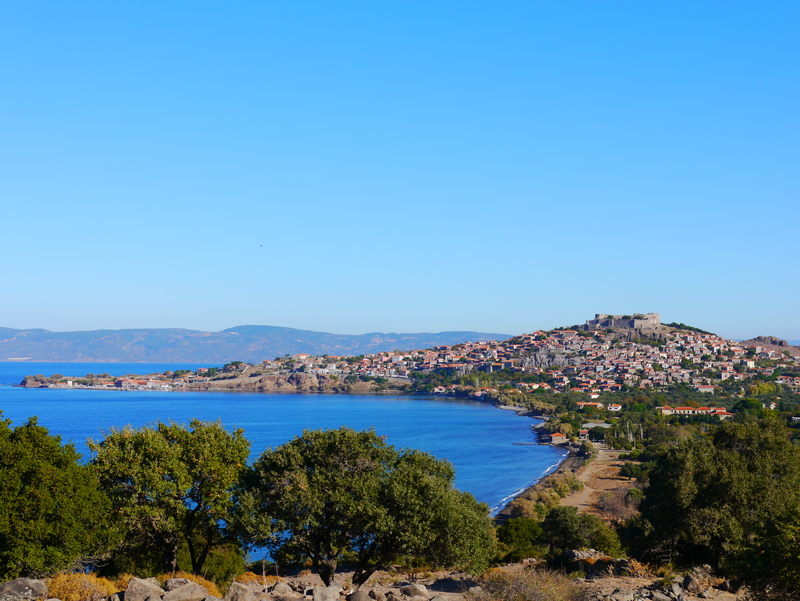 If hiking is your thing, Lesbos offers a great selection of scenic and historical walking trails. The island is also one of the best places in the Mediterranean for bird-watching. There are regular trips available to the nearby islands of Chios and Samos, as well as to the nearby coastline of Turkey. If it is water sports you are after head to Skala Kalloni, Vatera, or Skala Eressou. Nightlife on the island is generally relaxed, mainly focusing around the cafés and taverns. 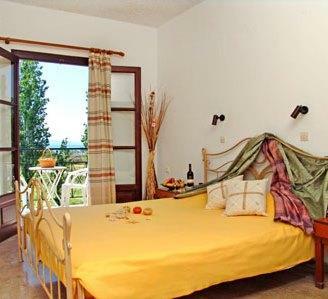 You will find a range of small and mid-size hotels to suit every budget. 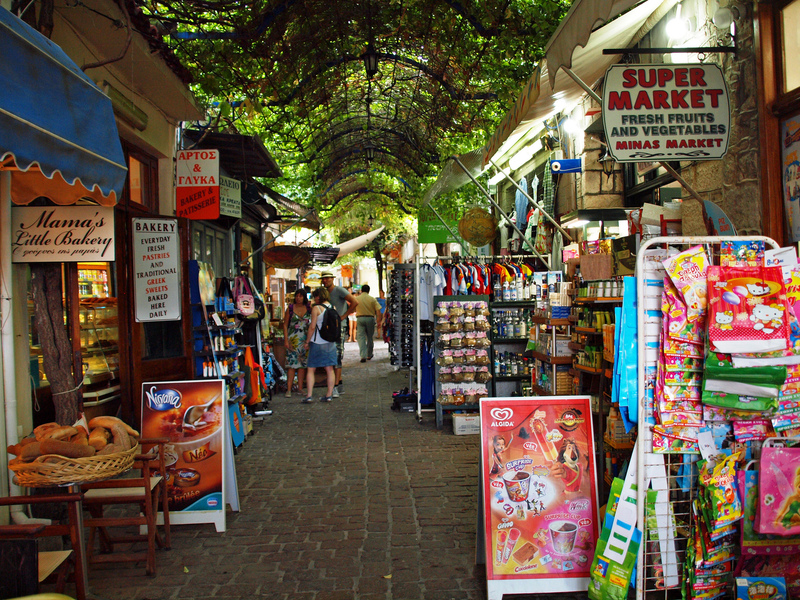 Molyvos and Mytilini are the best places to go shopping with an extensive range of souvenir shops, boutiques, and art galleries to choose from. The tourist season on the island runs from May to October, with the busy summer months of July and August being the most popular time to visit. And if you’re looking for a quiet, peaceful destination in a beautiful and unspoilt location, this is definitely the place. This small, lovely, traditional village, located on the northwest coast of Lesbos, is one of the most popular summer resorts on the island. Although, its sandy Blue Flag beach is one of the most visited on the island, the absolute highlight of Petra is the picturesque church of Panagia Glykofilousa (Our Lady of the Sweet Kiss), perched atop a 40m high rock in the center of the village. You have to climb up 114 steps to visit Panagia Glykofilousa, but the view from the church, especially at sunset, is worth the effort. In the village center you'll find a very old Turkish house, reputedly the oldest house on the island. The charming medieval town of Molyvos, also known as ‘Mithymna’, is packed with cobbled streets, red-roofed stone houses, and interesting sights. Explore its little streets in the upper town lined with plenty of shops and cafés. The pretty fishing port below is very vibrant with lots of authentic tavernas to choose from. 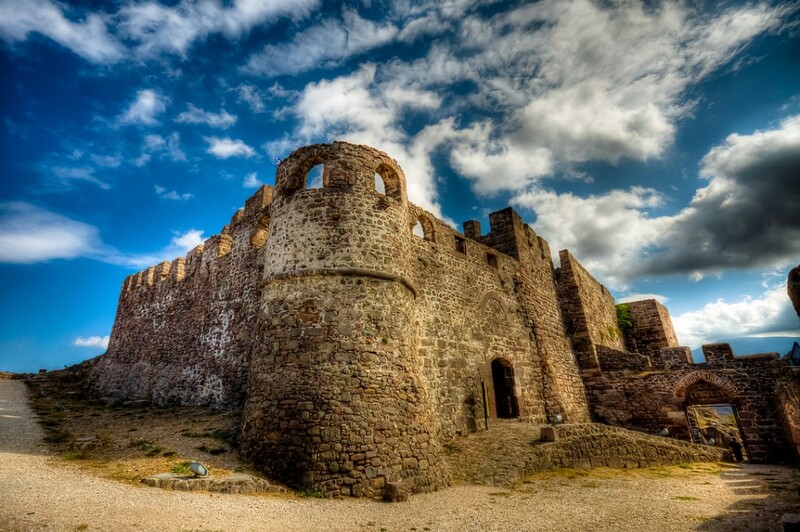 The mighty Molyvos Castle dominates the town and is a great spot for an afternoon of exploration. The steep climb is repaid by stunning views over the town and the sea. 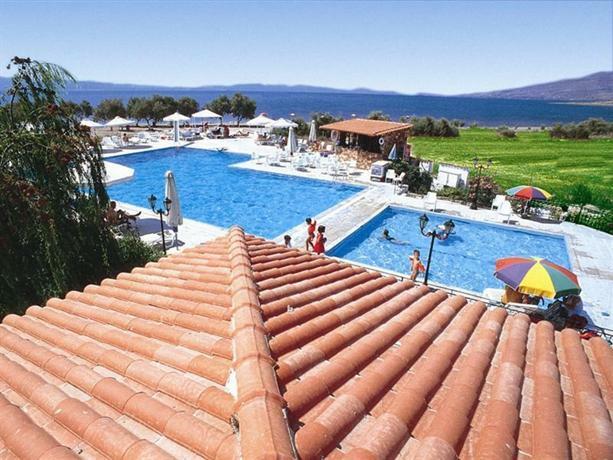 Eftalou is located just a few kilometers northeast of Molyvos and at the end of the village, you’ll find the well-managed and charming traditional bathhouse. The baths with whitewashed dome and clear, cathartic 115 °F water are among the few in Greece that allow men and women to bathe together. The springs are said to treat various ailments from rheumatism, arthritis, neuralgia, to hypertension and skin problems. There are also many other thermal springs in Lesbos including Thermi, Gulf of Gera, Skala Loutra, and Polichnotis. 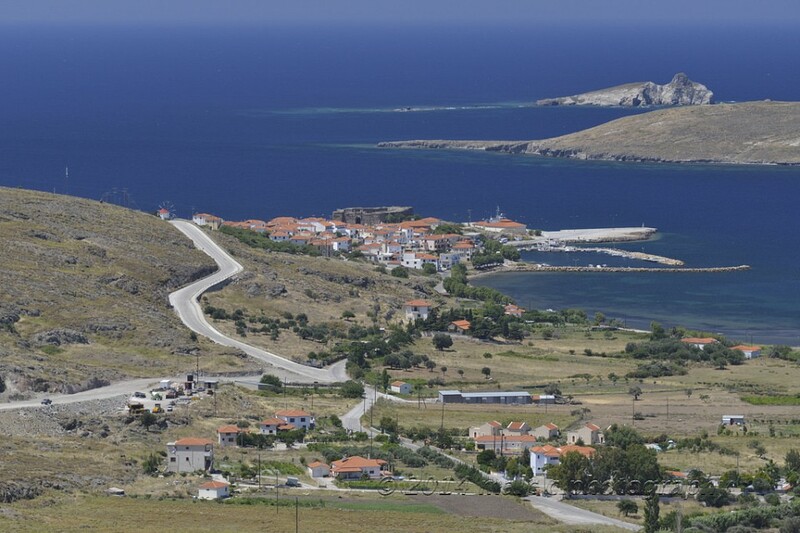 Enjoy a beautiful walk along the coast between Eftalou and the little picturesque fishing village of Skala Sikaminias. The lovely village of the ‘Mermaid Madonna’ boasts excellent seaside taverns known for their fresh fish. Skala Sikaminias has also a beautiful tiny church on the coastal rock. The capital of Lesbos, Mytiline, is located on the eastern side of the island. Wander through its maze of streets and sample life in this bustling town. The town boasts a Hellenistic theater, the church of Agios Therapon with its imposing dome, a Roman aqueduct, and an impressive fortress. 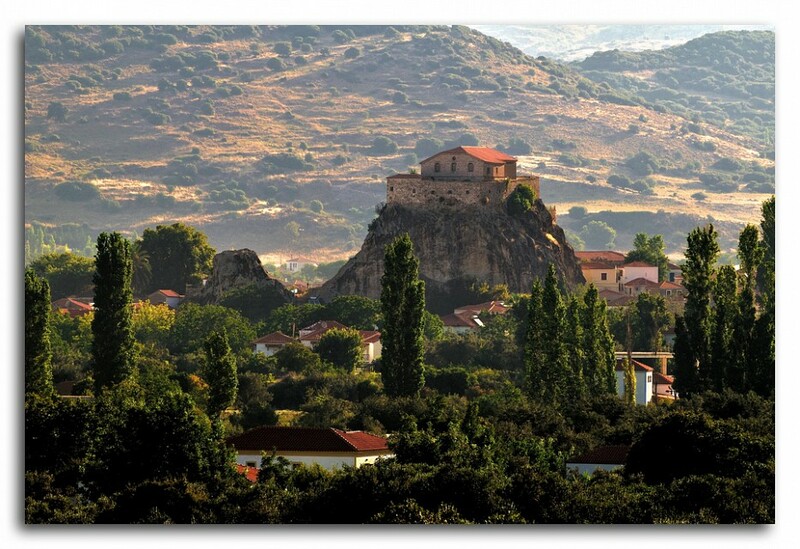 The quite well-preserved fortress, built in early Byzantine times, is one of the major attractions of Mytiline. Not to be missed is the New Archaeological Museum and Theophilos Museum. 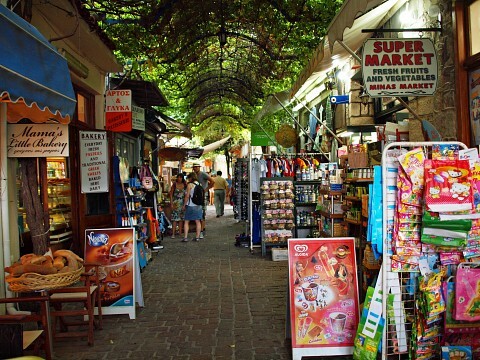 Stroll along the main shopping street, Ermou, which goes from the southern harbor to the ancient northern harbor. The museum, located in agricultural village of Agia Praskevi, is housed in a restored, communal oil mill. The museum explains the history and the processes of olive oil production. Also, the old machinery and equipment that have been preserved, and fully restored, are being exhibited. The museum is modern and the presentation is really superb. The vibrant and free-spirited resort of Skala Eressou, located on the west coast of the island, is the birthplace to one of Greece's most famous poets, Sappho . However, the gorgeous 1.9 miles long sandy beach is the main attraction here. The village itself has a number of bars, taverns, and shops. Northeast of Skala Eressos, the ruins of the ancient town of Eressos have been found. Plomari, located on the southern coast of Lesbos, is the island’s second-largest town. 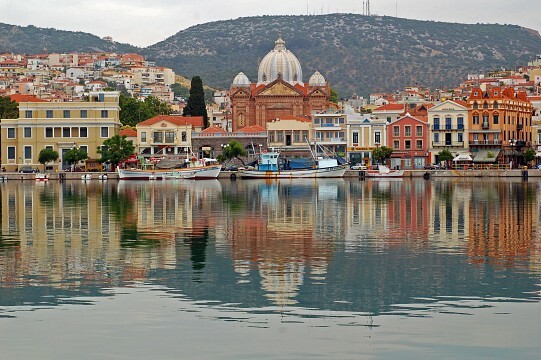 The attractive town with a large palm-lined square, is known for its famous ouzo. The architecture of the town with giant old mansions, decaying factories and olive presses is simply stunning. 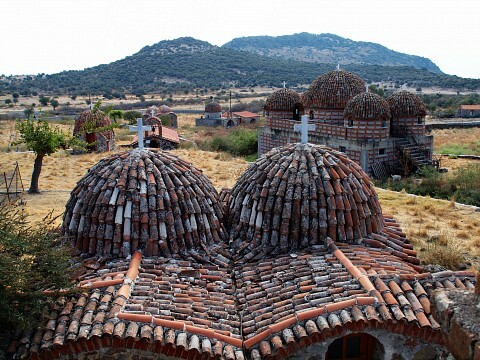 Make sure you visit the interesting Barbayannis Ouzo Museum. The museum displays some of the original equipment used to bottle and label their famous anise-flavored spirit. 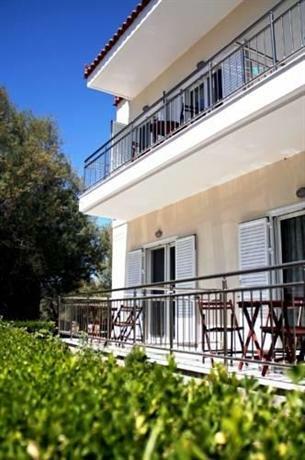 If you fancy a dip head to Melinda, a peaceful fishing village with a gorgeous beach. Make sure you don't miss the unique remains of trees that have been excavated from volcanic ash. The famous Petrified Forest National Park of Lesbos, located in the western part of the island, is one of very few in the world. The park is very large and although it has good paths there is very little shade, so make sure you take plenty of water for your explorations. During summer it is best to visit the park early in the morning. 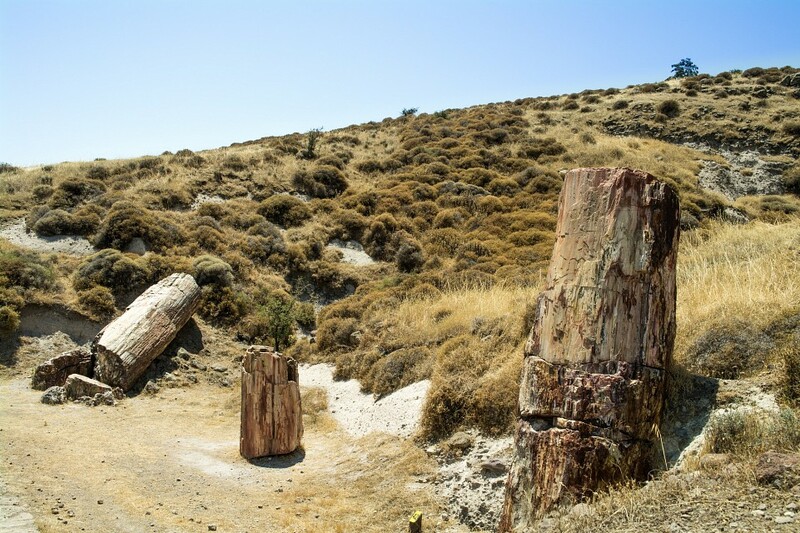 Intense volcanic activity, which took place in the Northern Aegean 15 to 20 million years ago, resulted in the creation of the Petrified Forest. Today some of the trunks can still be seen in their upright position with intact roots, while others are found in a fallen position. However, the best specimens of petrified trees are displayed the museum. The museum, located in Sigri, was established in 1994. The museum provides an excellent introduction to the geology of the island, the consequences of the multiple volcanic eruptions and boast a large collection of local fossils. 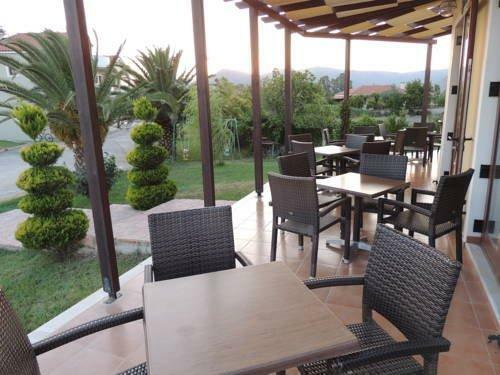 At the museum's entrance is a delightful café where you can enjoy a cup of Greek coffee on the terrace with a view over the bay of Sigri. Just a few kilometers outside Kalloni, is the island's largest monastery. Founded in the 16th century, the monastery is one of the island's finest examples of Byzantine monastic architecture. It also contains a rich collection of icons, religious clothes and decorations, an impressive archives of books and manuscripts, many dating from 1502, and a wonderfully kept garden. It's a men's convent and women are not permitted to enter the main church but they can visit all the other areas. For food lovers, Lesbos is the place to be. The choice of dishes varies from typical Greek to Italian pizzas and pastas and other international cuisine. 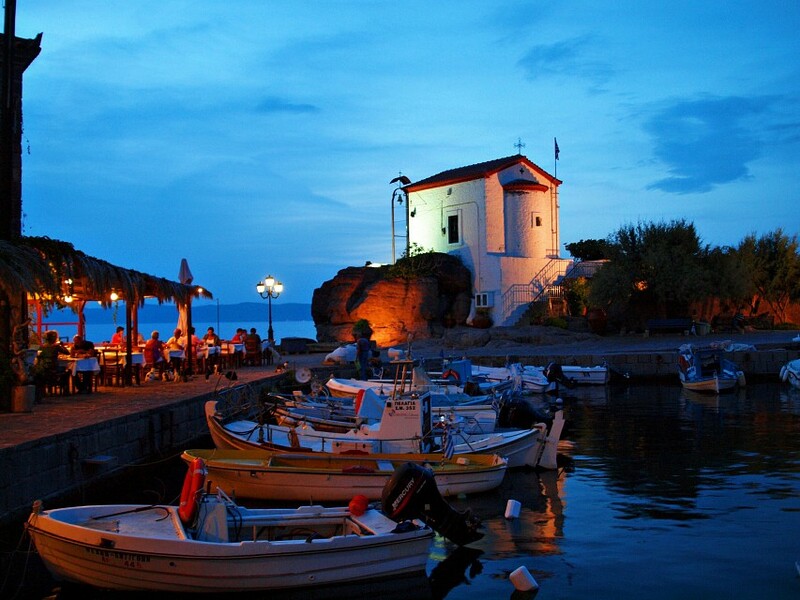 As anywhere in Greece, the best places to eat are small family-run taverns. You will find Greek favorites like tzatziki, Greek salad, moussaka and stuffed vine leaves on most menus. Fish is very popular on the island, caught locally and served in most taverns. Some of the popular local dishes to try include Kalloni sardines, stuffed zucchini flowers, 'sougania'; onions stuffed with minced meat and rice, 'sardines pastes'; fresh salted sardines and 'sfouggato'; omelet with vegetables. Make sure you also try the local cheese Ladotyri. If you have a sweet tooth sample 'baklava'; a flaky pastry layers lusciously combined with honey and nuts, 'galaktoboureko' or 'loukoumades'; sort of honey puffs. 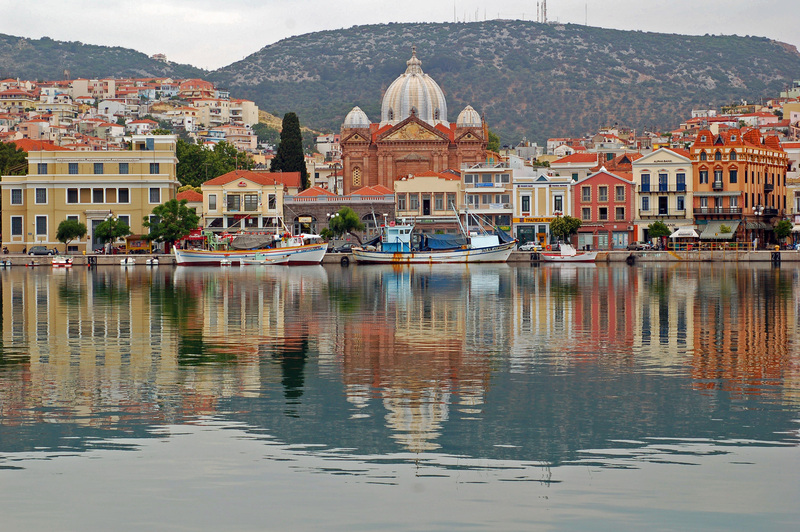 Lesbos is also well-known for its Ouzo; an anise-flavored aperitif. It is said, to be the best in Greece. The island experiences a typically Mediterranean climate with hot, dry summers and short, mild winters. The island is also known to be one of the sunniest islands in all of the Aegean. During May the beautiful countryside throughout the island is in full bloom, and it is a perfect time for hiking. Lesbos has its own airport. Mytilene International Airport, located a few kilometers south of the town of Mytilene, services both domestic and international flights from many European countries. Ferries from Piraeus to Lesbos run daily all year round. Because of its vast size, Lesbos demands transport to really appreciate its beauty and hiring a car is the best way to get around the island. There are numerous car hire companies and the roads on the island are generally good. A regular bus service also operates across the island.